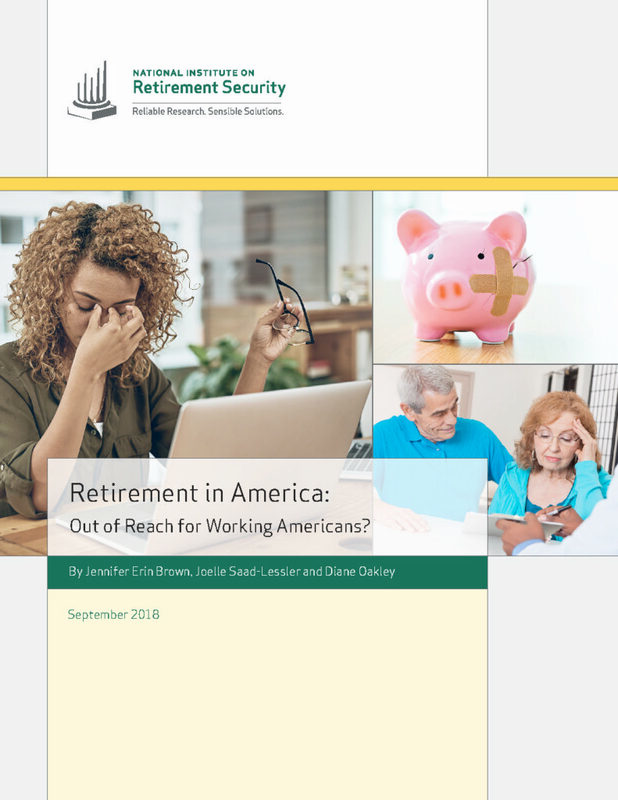 A new research report finds that the retirement savings levels of working age Americans remain deeply inadequate despite economic recovery. An analysis of U.S. Census Bureau data reveals that the median retirement account balance among all working individuals is $0.00. The data also indicate that 57 percent (more than 100 million) of working age individuals do not own any retirement account assets in an employer-sponsored 401(k)-type plan, individual account or pension. The analysis finds that overall, four out of five working Americans have less than one year’s income saved in retirement accounts. Also, 77 percent of Americans fall short of conservative retirement savings targets for their age based on working until age 67, even after counting an individual’s entire net worth – a generous measure of retirement savings. Moreover, a large majority of working Americans cannot meet even a substantially reduced savings target.